With its unique and exclusive design, this impressive wall-mounted Grandera tap perfectly complements a wide variety of bathroom styles and makes an instant style statement. Crafted with an elegant long spout, this 3-hole tap is also packed with cutting edge technology. Engineered with GROHE SilkMove’s ceramic cartridges, controlling water flow and temperature is effortless and precise. The GROHE AquaGuide aerator allows you to adjust the angle of the water jet so filling or washing pans has never been easier. With integrated GROHE EcoJoy technology you can enjoy an indulgent flow and yet cut water usage by up to 50% – an easy way to save a precious natural resource. Finished with our scratch resistant GROHE StarLight chrome coating, the mixer is easy to clean and will keep its sparkle for many years to come. Use with the GROHE concealed body (29025000). 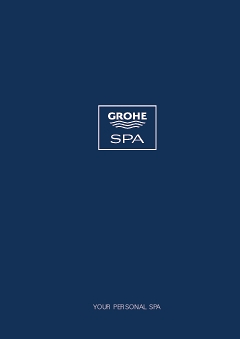 GROHE Grandera – a unique blend of sophisticated design and premium performance.